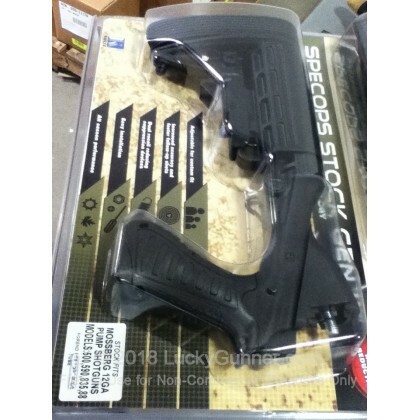 The SpecOps Stock Gen II is the next generation of adjustable stocks. 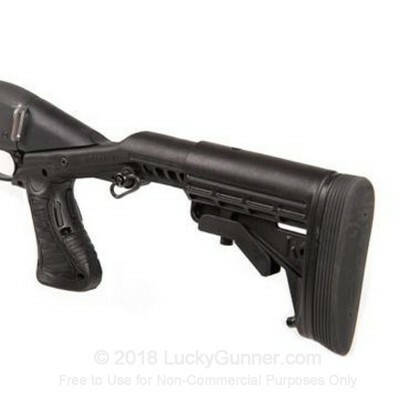 This model is designed for the popular 12 gauge Mossberg 500 and is perfect for law enforcement, military personnel, and avid civilian shooters. This stock is designed to greatly reduce recoil by as much as 85% helping for better accuracy on follow up shots. This ergonomic pistol grip allows for quick point and shoot accuracy. This stock ranges from 11.25" to 15" length of pull and features seven-positions. This Blackhawk SpecOps Gen II stock is made in the U.S.A. Note: This Stock is not intended for use with 3-1/2" shells. 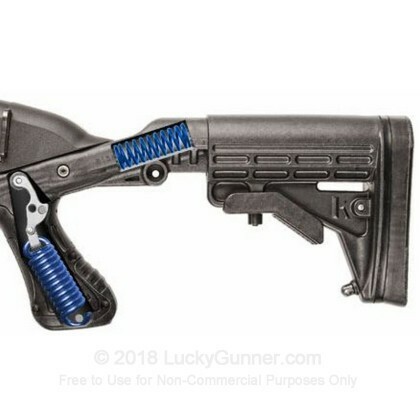 Seat stock firmly against shoulder pocket and allow stock to absorb recoil, not the pistol grip. Grip the forend firmly with your off hand.